At Sheridan College, we believe in offering quality food that’s convenient for our on- and off-campus students, faculty, and staff. You will find a variety of food options, ranging from stir-fry to brick oven pizza, available in the Thorne-Rider Campus Center in the heart of campus. 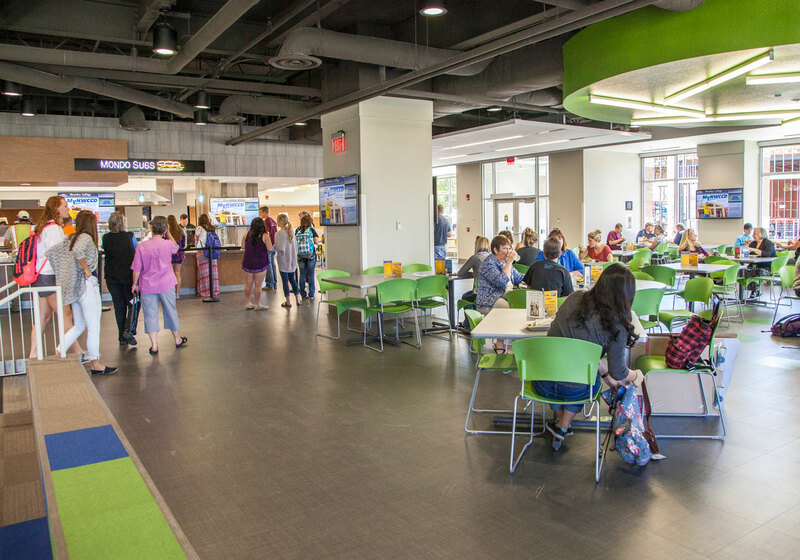 With seven food stations, seating up to 500, flat screen TVs, amphitheater-style seating, and pool tables, the Thorne-Rider Campus Center is the best place to grab a bite to eat on the go or have a delicious meal over a study session with classmates. 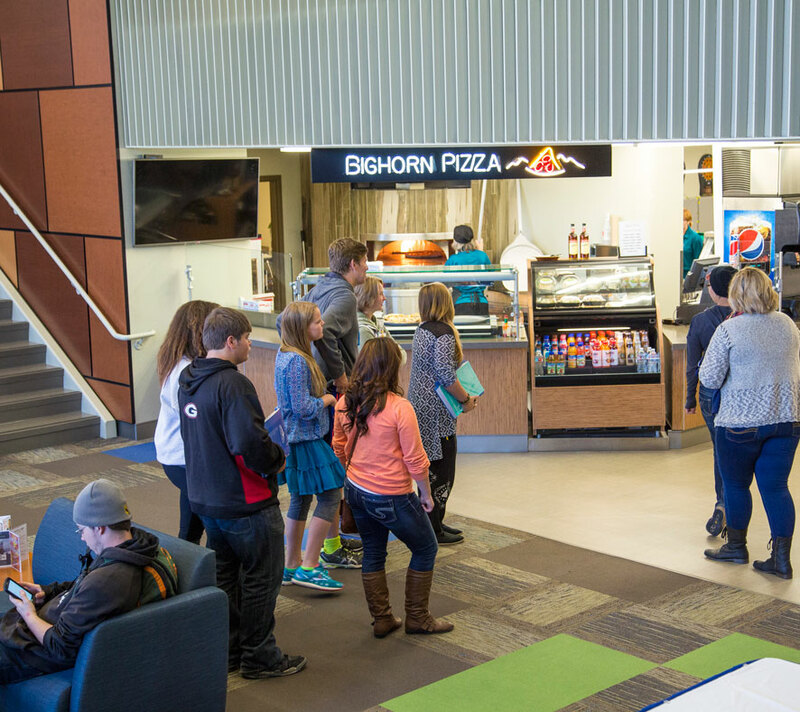 The C-Store located downstairs in the Thorne Rider Campus Center with Big Horn Pizza, is the perfect place for a cup of coffee, a fresh sandwich, an energy drink, or a snack. Food service at Sheridan College is provided by Chartwells, renowned for providing excellent food options and affordable meal plans at colleges and universities across the nation. Resident students can choose from three different meal plans. All plans include a maximum number of meals and a specified amount of “meal” dollars. Meal plans cost $1,610-$1,925 per semester for on-campus students, depending on the number of meals. Click here for more detail.